Ferrari team principal Marco Mattiacci says he has no issues with Kimi Raikkonen, describing him as “a super-cool guy”. Raikkonen has struggled relative to team-mate Fernando Alonso on the whole this season, while Ferrari has endured a disappointing start to the season with only one podium from the opening six races. 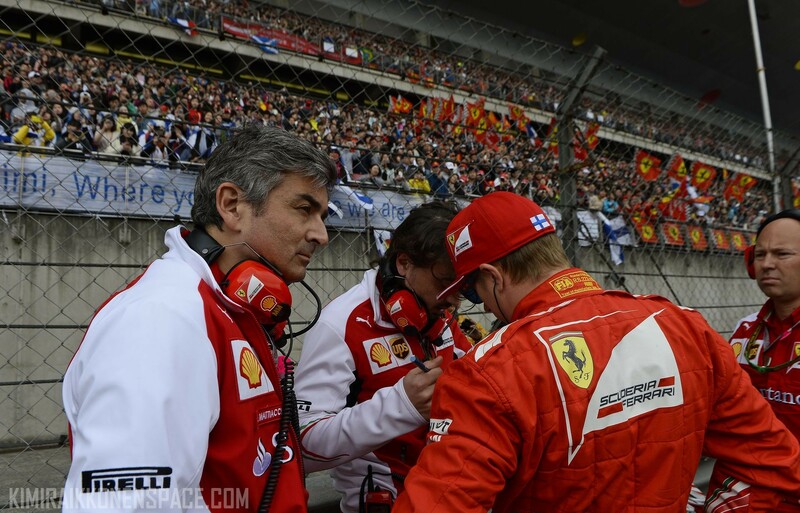 Mattiacci was asked how he had found working with Raikkonen since taking over as team principal in April, and he said he enjoys working with the 2007 world champion due to his honesty. “I have worked before in Finland for several months – I’m not going to tell you the project – but I know Finnish people quite well,” Mattiacci said. “Kimi is someone who is Finnish but grew up internationally because of the travel with Formula One. “I think he’s a super-cool guy, I like him very much. We are always very open and frank in discussions, professionally, so it’s a great person to work with. “I’m still not happy with the car – the race was better than qualifying but we still have a long way to go to where we want to be,” Raikkonen said. The 2007 world champion added that Ferrari knows what it needs to do, and that it has already taken steps in the right direction. “We’ve done a lot of things already, particularly with the engine, but we’re still lacking speed,” he said. “We have to compare to Mercedes and they’re still quite a way ahead of us. “We know what we have to do but those things will not be easy to fix. It just takes time. “We’re going forward all the time but other teams are improving also. Well done Kimi on setting the fastest lap. Show them what you can do from here on. Formula 1 wouldn’t be the same without you on the grid.